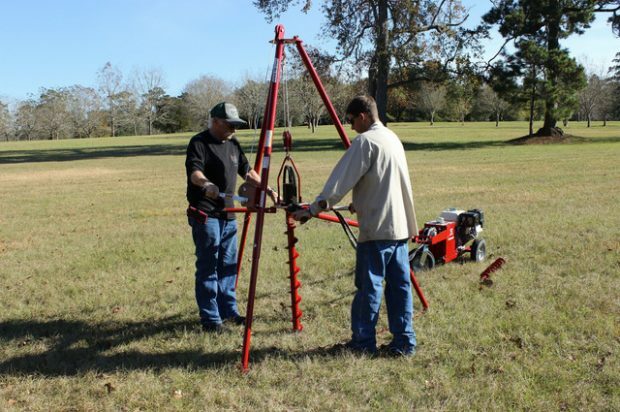 Little Beaver Inc., a leading manufacturer of portable drilling solutions, offers a Tripod Kit to turn the Hydraulic Earth Drill into a highly capable and portable rig for soil-sampling and geophysical work. The kit provides controlled drilling as deep as 35 feet in sand, clay and soft rock formations using 4-inch diameter augers and extensions. The Tripod allows for precise testing while delivering excellent control and smooth lifting of samples. The Tripod pairs with Little Beaver’s 11-horsepower Hydraulic Earth Drill. The drill’s standard 150-rpm drive offers controlled speed and a max drilling torque of 225 foot-pounds. The drill also generates 1,000 pounds of pull-back force for auger removal. 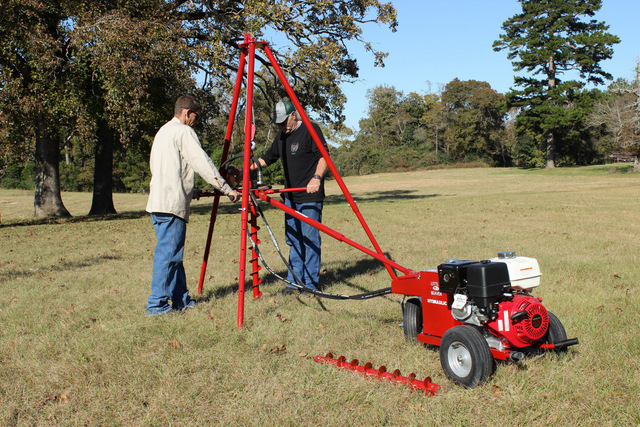 The Tripod provides the stability and control required to drill deeper and to easily remove the auger and sample. To ensure hassle-free auger removal, Little Beaver constructed the Tripod of durable, welded steel tubing. The unit also features a hand winch for quick auger retrieval. The Tripod Kit and drill are both easy to move between jobsites. The Tripod’s legs are adjustable and collapse for easy transport. Little Beaver’s Hydraulic Earth Drill is mounted on an easily maneuverable three-wheel chassis. The drill’s compact design allows for drilling in locations inaccessible with larger drills. For safe and convenient loading and unloading, the drill is equipped with front and rear handles. For more info on Little Beaver, click this link. It’s super clickable. Just try.